Just one day after the shooting massacre last week at a Florida high school, the woman who cared for the alleged shooter and his brother filed court papers seeking control of their inheritance, which could total up to $800,000, according to the New York Post. 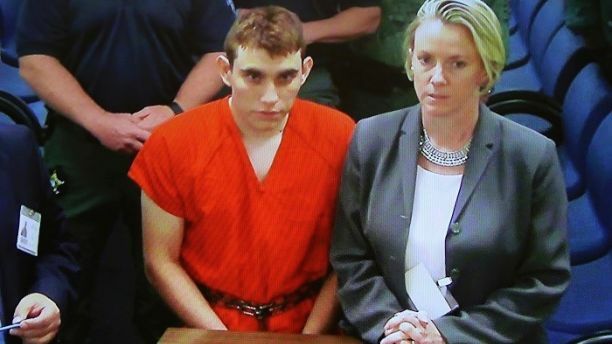 Roxanne Deschamps also had Zachary Cruz, the brother of shooting suspect Nikolas Cruz, involuntarily committed to a mental facility shortly after the massacre, the Post reported, citing a family source. The Broward County Sheriff’s Office filed a motion on Tuesday asking the court to determine whether Nikolas Cruz is indigent and eligible for a taxpayer-funded defense. Deschamps, a longtime family friend of the Cruz brothers, began looking after them after their adoptive mother, Lynda, died of pneumonia in November. Her court filings indicate she wants to administer Lynda’s estate, which would make her responsible to distributing the proceeds of her life insurance policy and settling her debts, the Post reported. While there are no indications Deschamps would be able to obtain the inheritance for herself, she could charge a fee for her efforts administering the estate, subject to judicial approval. Cruz reportedly told a family friend that Deschamps wanted to steal his inheritance, according to the Post. The paper also cited a source who reported that Deschamps had thrown Nikolas out of her trailer because of a dispute over his gun collection — but not before taking nearly $3,000 from him. The Broward County Sheriff’s Office has filed a motion asking the court to determine whether Cruz is indigent and eligible for a taxpayer-funded defense. If the court concludes Cruz can pay for his own legal defense, he’ll have to hire a private attorney. His money — including any inheritance he obtains — would be subject to seizure in a civil judgment, including one resulting from any potential wrongful death lawsuits filed by his alleged victims.